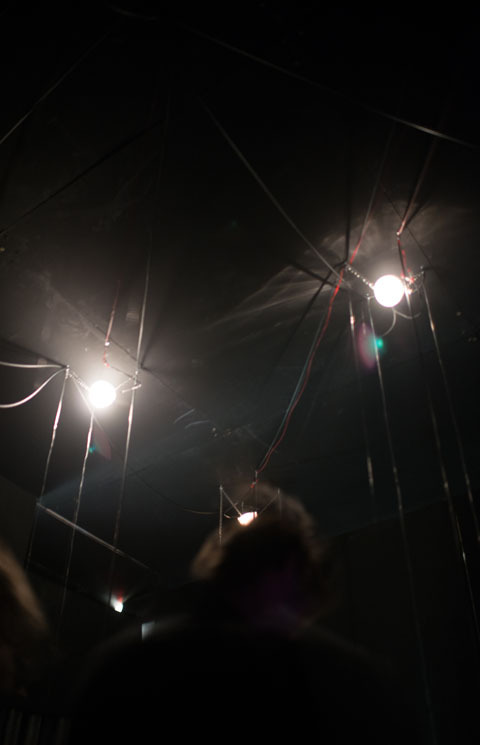 Tiny Moments / Light Entropy is an installation / performance exploring ideas around decay, synaesthesia and chaos. 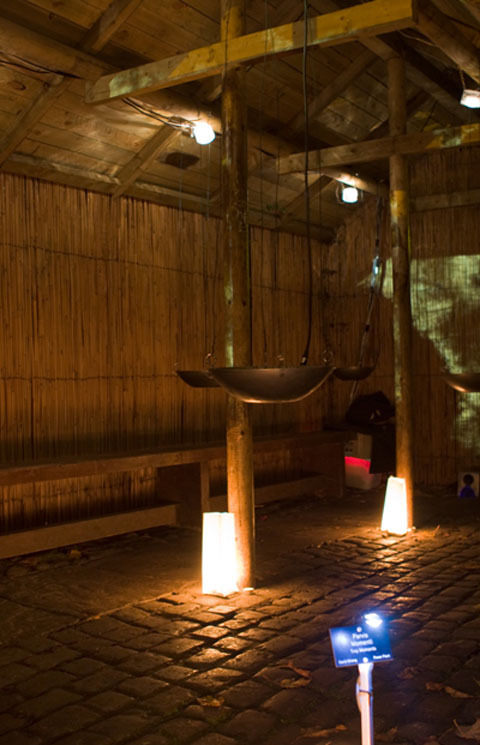 The work has been developed around an original sound and light installation (Tiny Moments) by David Strang and built into a performance via collaboration with other artists and musicians. 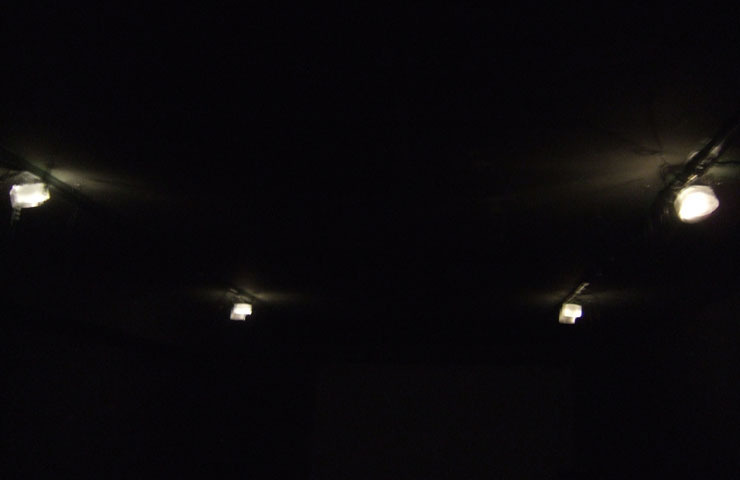 Small light bulbs are frozen inside blocks of ice and hung at various points around a dark space. Beneath each block of ice is a metal bowl suspended in the space that catches each droplet of water as it falls. As a droplet of water hits the bowl it triggers the corresponding light to flash on then off. 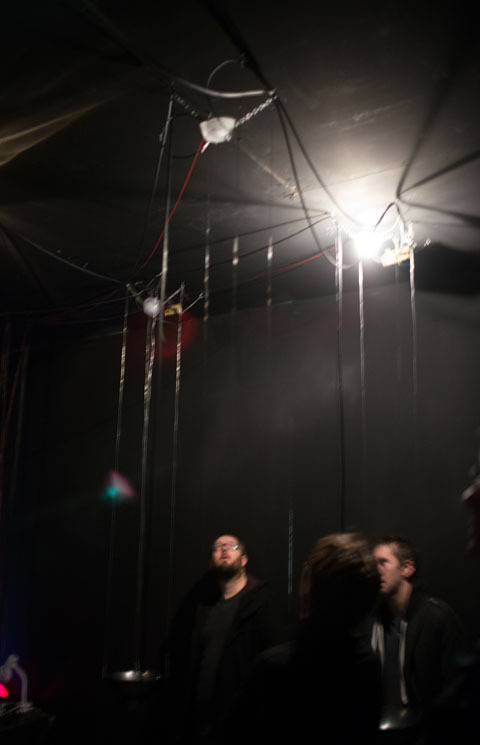 The water droplet is also amplified through speakers in the space. What is created here is a network of synchronised flashes of light and pulses of sound that adjust to the surrounding environment. Alongwith the light bulb, small contact mics are frozen in the blocks of ice to amplify the changing state of the ice as it cracks and releases small pockets of air. 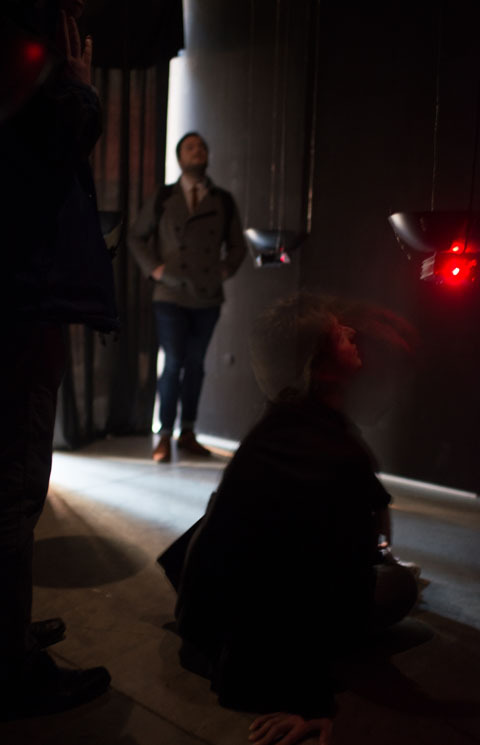 The work explores the noise surrounding a moment or action. Before a light is triggered there is electromagnetic (EM) radiation that begins to build up and leaks from the system and after the light has triggered there is both the after image and after sound where the flash of light imprints onto the retina and the EM pulses fall away. Therefore, the work is built not just from the moment of light happening / triggering but also the fractions either side. 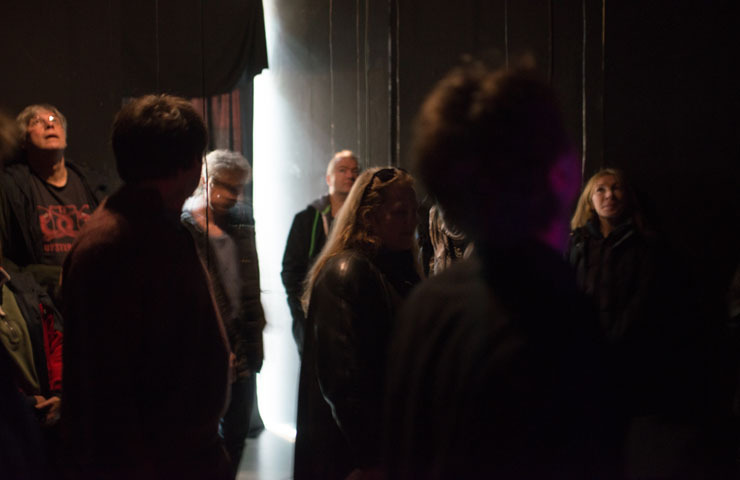 The initial discussions surrounding the development of Light Entropy (performance) took place between David, Sean Williams and Shiori Usui in 2012/2013. 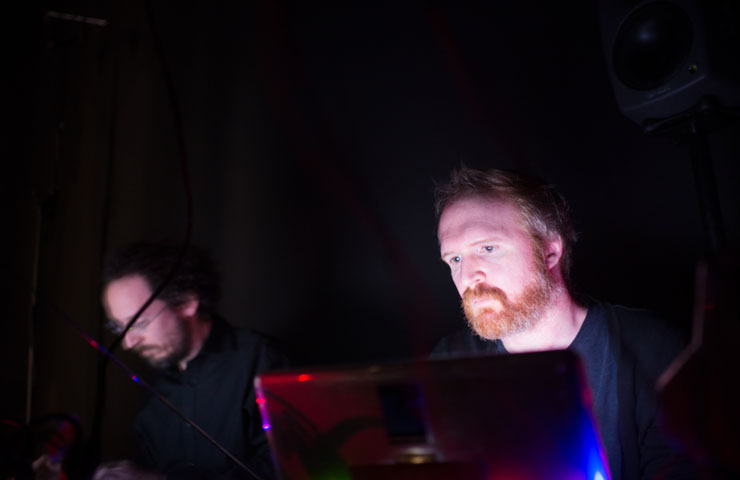 David and Sean have continued to develop the work for live performance at the Contemporary Music Festival 2014, Plymouth and below you can see a video of one of the performances.